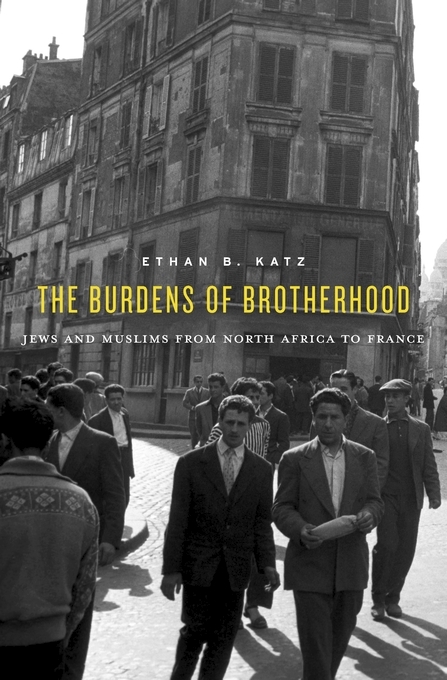 Historian Ethan B. Katz examines the “triangular affair” between Muslims, France, and Jews in his new book, The Burdens of Brotherhood: Jews and Muslims from North Africa to France. Katz is Assistant Professor of History at University of Cincinnati. He was educated at Amherst College and University of Wisconsin-Madison. His scholarly work has appeared in Journal of Modern Jewish Studies, Journal of European Studies, Jewish Quarterly Review, and Journal of North African Studies. He is a contributor to A History of Jewish-Muslim Relations: From the Origins to the Present Day (Princeton University Press, 2013), edited by Benjamin Stora and Abdelwahab Meddeb. Ethan B. Katz discusses his new book in this interview. Why do you think it is important to place Jews and Muslims “within a single story” to understand their history in France? Even though historians have tended to study Jews and Muslims in France separately, the two groups’ fates have often been intertwined. In addition, their respective histories in France can be better understood when the two groups are compared. In the late nineteenth century, France decided to give full French citizenship to Jews in Algeria but not to Muslims in Algeria. Both advocates and policymakers defended the decision by actively contrasting Jews, as allegedly Western, modern, and civilized with the larger native Muslim population, depicted as barbaric, primitive, and disconnected from Western norms. It’s also important to note that large numbers of Jews and Muslims from North Africa who came to France had much in common: language, food, dress, music, even certain rituals. Therefore, their daily encounters often did not fit our contemporary assumptions – or those of French policymakers at the time – about sharp inter-group divisions. One of the chapters in your book is intriguingly called “Jews as Muslims and Muslims as Jews.” What is meant by that? [/caption]That chapter centers around World War II and the Holocaust. There are two reasons that I gave it that title. The first has to do with the relative power and status of the two groups. During the 1930s, despite France’s increasing antisemitism, Jews were far more able than Muslims to integrate into the French republic and even to have significant roles in policymaking, including on issues that affected deeply the lives of Muslims. During the war, the situation changed dramatically. As we know, Jews became ostracized and faced ultimately lethal persecution. What people are often surprised to learn is that Muslims in wartime France had a more ambiguous racial status, akin even to that of “Aryans.” Muslims were courted by the Nazis, Vichy, and political movements of every stripe. This power reversal helps explain the second reason for the chapter title: numerous Jews from North Africa and the Middle East sought during the war to disguise themselves as Muslims in order to escape anti-Semitic persecution. 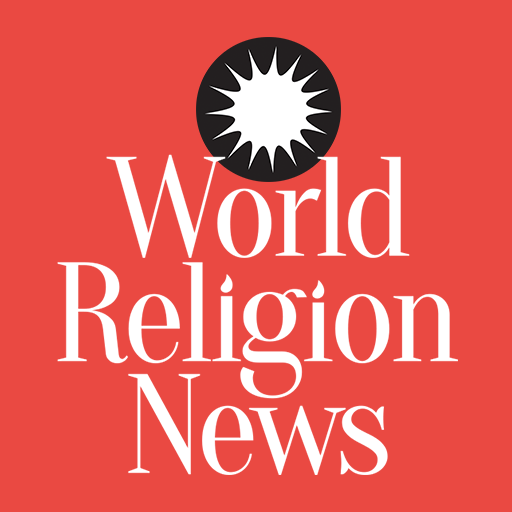 A few Muslims from intermarried families, meanwhile, found that their Jewish ancestry became a cause of doubt about their own racial identities, despite their Islamic religious practices and convictions. What do Jews and Muslims have in common? 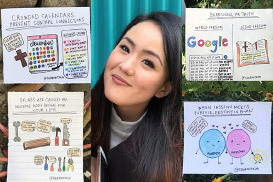 The history and nature of their relationships have depended, to some extent, on geography (where they have lived together) and their shared experiences. What are some other commonalities? 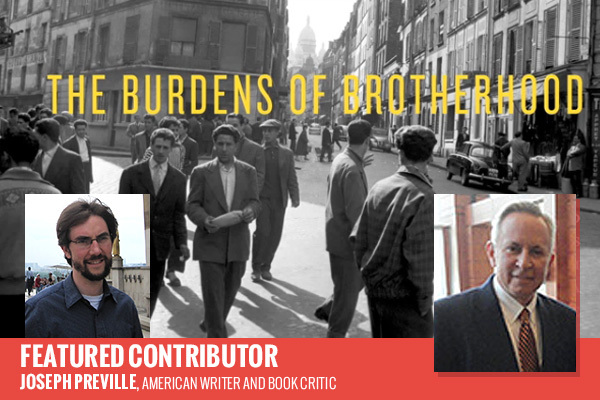 Both Jews and Muslims had a combination of affinities that made it much harder for them to integrate into French society (thus I refer to these affinities in the book’s title as “burdens”). In terms of religion, both groups have long been non-Christian minorities in a country that is at once culturally Catholic and avowedly secular. Under French colonial rule in North Africa, Jews and Muslims each experienced the possibility of integration and the harshness of discrimination and repression at the colonizer’s hand (though to varying degrees of course). In a place where one is supposed to be “French first” in public, many members of each group have had strong political attachments to movements and entities outside of France – for Jews primarily Zionism and eventually the state of Israel; for Muslims, North African and Arab nationalist movements and then nation-states, as well as the pro-Palestinian cause. But I also emphasize in the book that these burdens were almost never equivalent between the two groups. What have been the primary causes of tensions between Jews and Muslims? People tend to assume Jewish-Muslim tensions in France have been some kind of spillover from the Middle East conflict. But the reality is far more complicated. French internal dynamics have been absolutely crucial. During the colonial period, most Jews in France and Algeria were full French citizens, whereas most Muslims were colonial subjects facing systematic discrimination. These differences in status fostered tremendous gaps in income, education, acculturation, and skills between the Jews and Muslims who came to France in the 1950s and 1960s and many of their descendants. All of these inequalities were also compounded by the decision of France in 1961-1962, as it left Algeria, to include all Jews from Algeria as “European” French citizens and to classify most Muslims from Algeria — who had recently gained equal status – as non-Europeans no longer entitled to French citizenship. Then, since the late 1960s, the local visibility of the Israeli-Palestinian conflict has grown significantly, and the period since the late 1980s has seen the rise of both an Islamophobic French Far Right and the influence of global Islamism. Together, these factors have made for a frequently combustible combination. In an op-ed for the Jewish Daily Forward you wrote that “both Muslim-Jewish violence and friendly relations can occur in the same spaces. Internalizing that truth will prove vital in determining the future of both peoples.” Do you have any policy recommendations for the French government? Also, how can PM Netanyahu, Mahmoud Abbas and other politicians apply this understanding to their work on the Israeli-Palestinian peace process? The point I wanted to make there was that there is nothing inevitable about violent conflict even between groups with opposing political or religious loyalties. And that coexistence requires the cultivation of an atmosphere of mutual respect. I think that since the attacks of January 2015, the French government has begun to take steps to try to foster a climate of much greater tolerance for Muslims. I am encouraged by the plans underway to incorporate the Parisian banlieues — the frequently troubled, under-resourced outskirts of Paris where large numbers of Muslims tend to live — into the city. But I also think that France’s government needs to rethink its insistence on the alleged “neutrality” of public space. My book reminds us that at certain historical moments one could bring “French plus” identities into the public sphere and still feel fully French. Likewise, in the Middle East, I think it is far too easy for Israeli and Arab leaders to focus solely on competing political claims and fail to acknowledge the humanity and intertwined fate of those on the other side. If such basic interconnections are lost, then assumptions about unmitigated conflict can become a self-fulfilling prophecy. As Muslim refugees flood into Europe and adjust to their new lives, and as citizens of those countries adjust to the influx, are there lessons to be learned from the way Muslims and Jews have managed their relationships with each other and with Christians who may look upon them as ‘the other’? The current refugee crisis — where most of those seeking haven are Syrian Muslims — is a stark reminder of Jews’ and Muslims’ interwoven paths through European history. That is, those countries that have most actively embraced the lessons of the Holocaust are, almost without exception, those most prepared to accept significant numbers of Muslim refugees today as a moral imperative. Another lesson from French history pertinent to the refugee crisis is that when both Jews and Muslims can integrate more easily into European societies and norms, the two groups are more likely to coexist amicably with one another and the wider French population. Parallels have been drawn between anti-Semitism and Islamophobia – both of which, by all accounts, are on the rise. Do you find a lot of anti-Semitism in Muslim communities and Islamophobia in Jewish communities? Or do you find these sentiments are stronger amongst other communities? In France both antisemitism and Islamophobia have been on the rise in recent years. Politically, the Far Right focuses much more of its racist rhetoric now on Muslims than Jews but retains anti-Semitic elements as well. Since the early twenty-first century, state reports have repeatedly shown that Jews have been the most frequent targets of racist attacks. And it is clear that a disproportionate number of the perpetrators of these incidents have been Muslims. An opinion survey by the polling firm Fondapol taken in autumn 2014 also showed that negative attitudes toward Jews were found much more often among Muslims than within the larger French population. Meanwhile, studies show that Muslims have been the second most frequent targets of racist aggression, and that structural racism in France — meaning, racism that becomes an obstacle to basic life opportunities — affects Muslims more than any other group. There is far less polling on Jewish attitudes specifically toward Muslims than vice versa. Yet a recent, illuminating study by Kimberly Arkin of a selection of Jewish private schools in Paris suggests that some young Jews are forging identities closely aligned with Jewish ethnicity and Israel, and that rely in significant part on openly racist attitudes toward Muslims. The topic of your book is a popular one. Mark R. Cohen has written extensively on Muslim-Jewish co-existence. And Maud S. Mandel has written on Muslim and Jews in France. How does your scholarship add to the conversation? Both Cohen and Mandel have done important work that has influenced my own. What I have tried to do in my book that I believe is distinct is to deconstruct the categories of “Jew” and “Muslim” in the French context and to ask how encounters between individual Jews and Muslims became defined as “Jewish-Muslim relations.” Mandel’s book emphasizes how the French state and certain Jews and Muslims forged a narrative of conflict that in fact helped to create the tensions it claimed to describe. But my book examines a longer time period than Mandel’s (which begins in 1948) and focuses more on the social fabric of ordinary people’s lives. In so doing, I try to remind us that for much of the twentieth century, political outcomes we now take for granted remained uncertain. Moreover, my book gets at the messy realities of everyday life that often cut against categories of conflict being forged at the political level. In the wake of the Paris attacks of November 2015, there have been certain events that have brought together leaders from the Jewish and Muslim communities in France. Can you comment on this coming together and what you think it may signify about this moment and the future? The events that have brought leaders from the two groups together – such as, most notably, a memorial event at the Bataclan concert hall where the deadliest attack occurred — have allowed expressions of shared mourning and shared vulnerability. The latter is crucial. Historically, Jews and Muslims in France have often each felt vulnerable in the wider context of French politics and culture. That vulnerability has been a source of unity in certain moments and tension in others. For the moment, the work of ISIS is so jarring that many of France’s Jews and Muslims seem to feel deeply threatened in ways that are fostering potential unity. It is far too early to know if such an outlook is likely to continue — but one can only hope. This article originally appeared on ISLAMiCommentary.